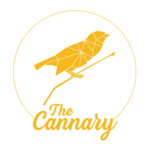 The Cannary is a medical marijuana dispensary with true industry professionals on staff. At The Cannary, the number one goal is to bring its patients happiness and improve their well-being through providing a superb selection of upscale medical marijuana flowers and cannabinoid products like edibles, topicals, concentrates, and prerolls. Personalized patient care is what sets the company apart. The knowledgeable consultants will provide you with assistance in choosing the proper medication in accordance with your personal needs and based on their personal experience and knowledge. Being a pre-ICO and Prop D compliant dispensary, The Cannary aims at achieving excellence in every aspect of the patient experience and does everything possible to make sure its patients feel secure while getting their medicines.